Want the skills to manage your own farm? 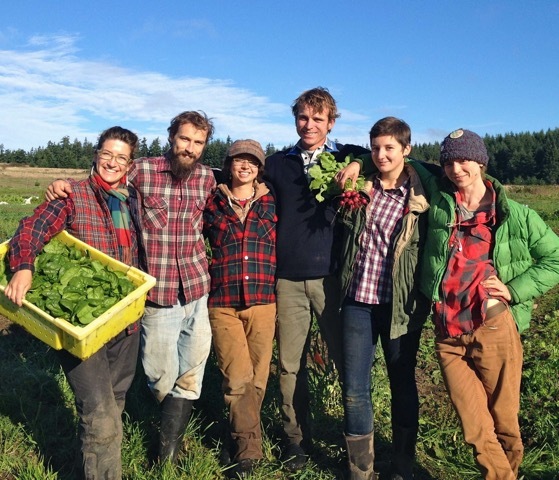 The Organic Farm School on Widbey Island in Washington State offers aspiring farmers a practical education in how to start and manage a small scale organic farm. They still have a few openings left for 2017 and accept Americorps awards and/or offer need-based scholarships towards tuition. Our full-time, 8-month long experiential farmer training program is for aspiring farmers seeking to learn and practice the technical and business skills needed to run a small-scale, organic, commercial farm. Through cooperatively managing the school’s ten-acre farm and attending weekly lectures, discussions, and demonstrations on topics including organic crop production, soil science, business planning, and direct marketing, students will acquire a thorough education in organic small farm management. Student are mentored through the creation a personal farm business plan and regular field trips to regional farms allow participants to see a variety of farming styles and talk to experienced producers. Through management of the student farm, participants develop their practical farm skills including planning, tillage, greenhouse propagation, weeding, harvesting, marketing, record-keeping, and more. Students also learn to operate tractors, make compost, and manage the farm’s livestock. With the skills and knowledge gained and a business plan in hand, program graduates are ready to start and/or manage their own small organic farm. Find out more and apply at www.organicfarmschool.org.